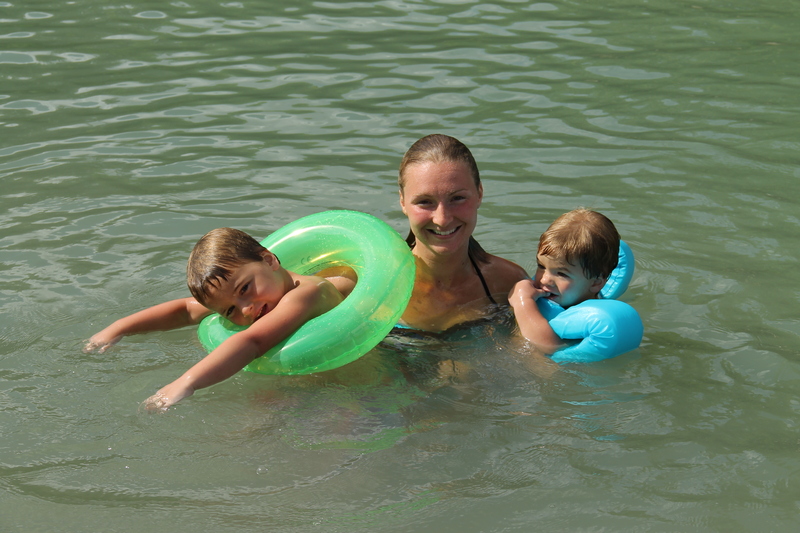 We go to Luling, TX’s amazing swimming hole (part of the San Marcos river; city property and open for public use) several times a year with my cousins. My cousins live significantly closer and they go at least once a week if it’s warm enough. My cousin Kara is married with two young children that my brothers and I love to dote on. They’re adorable! 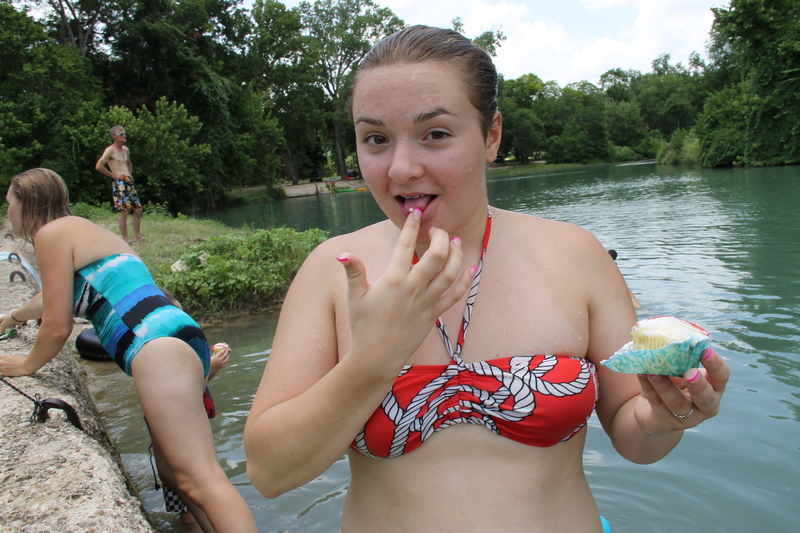 Anyway, this is our 4th of July celebration – brisket and a potluck out at the swimming hole. It was my idea and my mom really got into it. Most of my family came but my older brother couldn’t make it because he lives in Georgia. 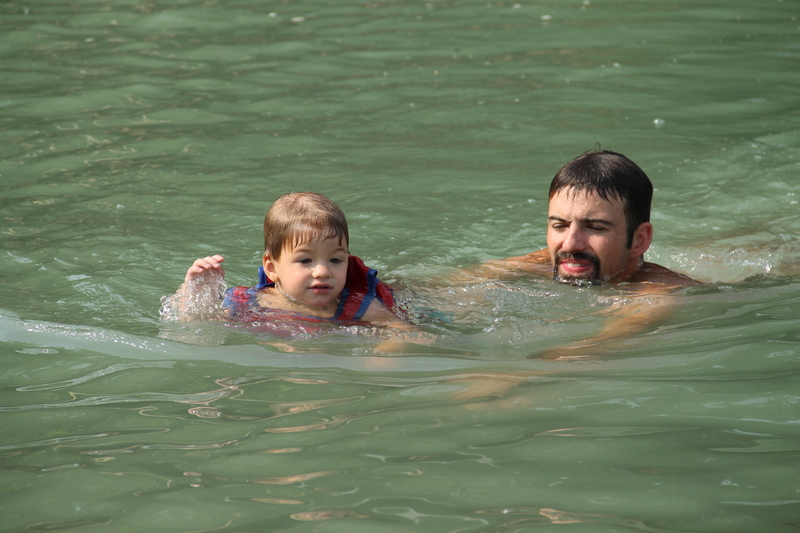 Here’s Ashley (the dad) and Tucker, the youngest – he’s nearly two. He loves being in the water and eating. He’s adorable and looks and acts exactly like my uncle Mark and brother Eric. 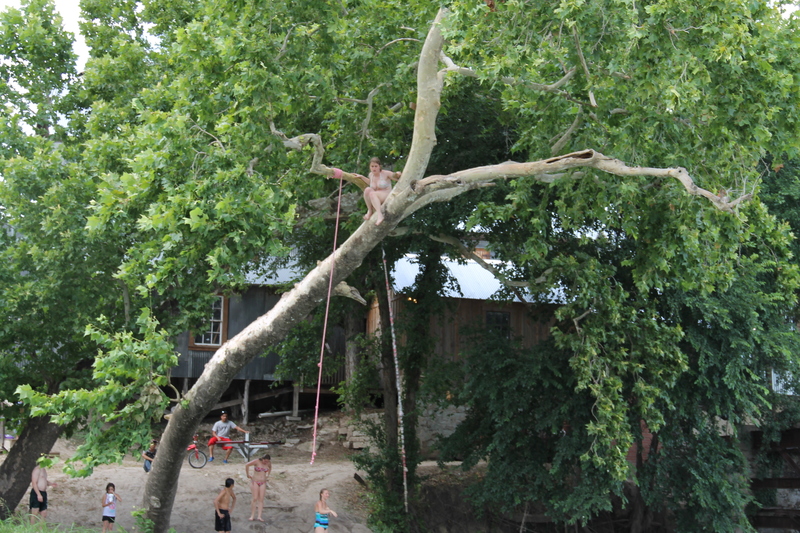 This is me in the tree we jump from. I eventually jumped, but I was scared to! 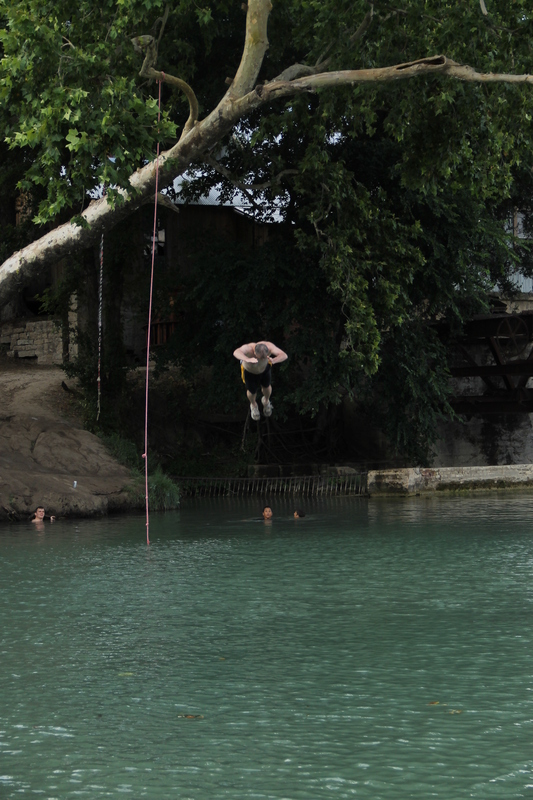 Normally I don’t have any problems jumping off the tree but this time I was frozen in fear for a wee bit. Kara and her two adorable kids! My favorite children ever. My 62 yr old uncle doing a front somersault off the tree. If you’re wondering, he didn’t quite complete the flip and his sternum was hurting something fierce for the rest of the day. 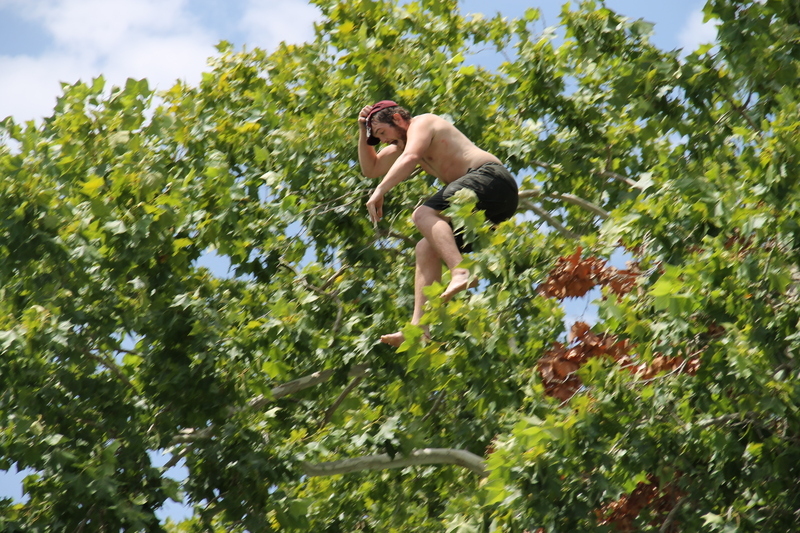 My brother Eric preparing to jump from the very top of the tree. It’s a matter of contention among my family, but the general consensus is that it’s between 50-60 feet up. 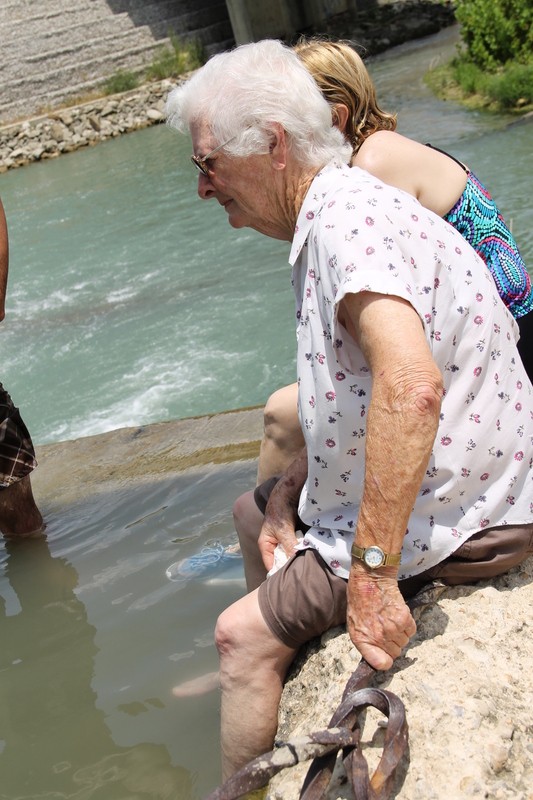 Grandma enjoying the water. She’s getting on in the years but she’s still pretty spry! Poor Ryan is terrified of heights and going up the tree is a real challenge for him. 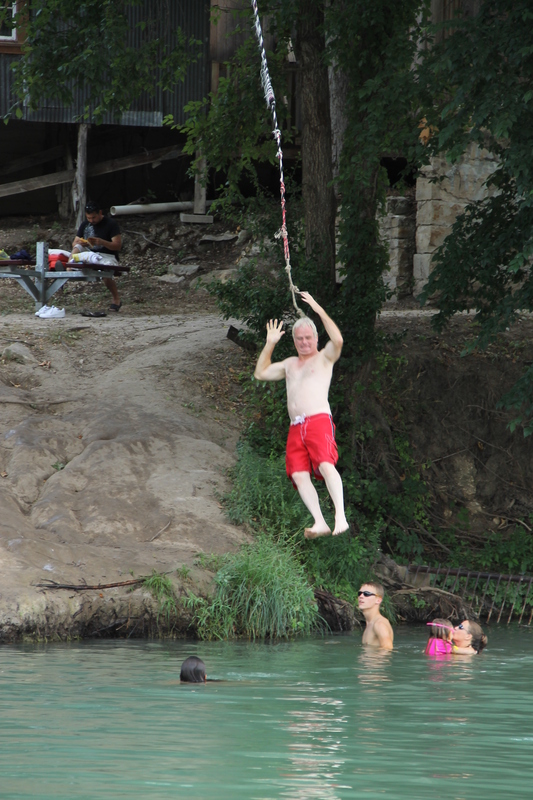 He’s jumped off once or twice before but this time he couldn’t make himself jump and took the rope instead. My cousin Savannah. She’s 7 years younger than me, so I’ve watched her grow up and I can’t believe she’s 16 and – le gasp! – driving! 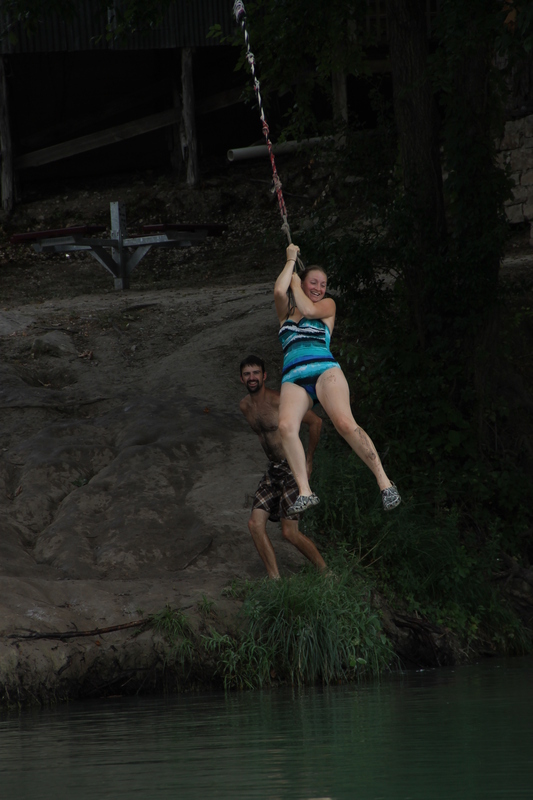 Kara going off the rope swing! She’s usually attending to her children, but these last couple of times dads and cousins and grandparents have been watching them. She’s been having fun getting in touch with her inner child instead of her outer ones. 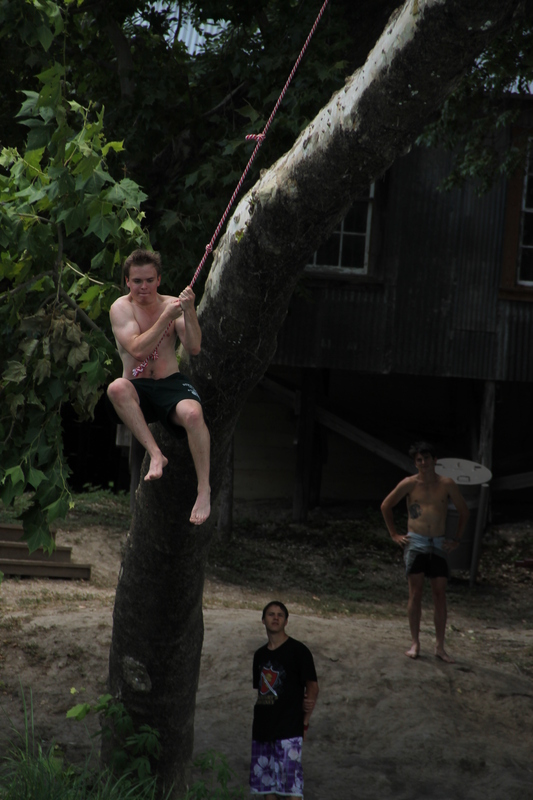 One of Ryan’s many attempts to muster up the courage to jump off the tree. I think this time the plan was to hang from the branch and just drop, but he couldn’t commit to getting his legs off the tree. Did I mention Ryan has a pretty intense fear of heights? 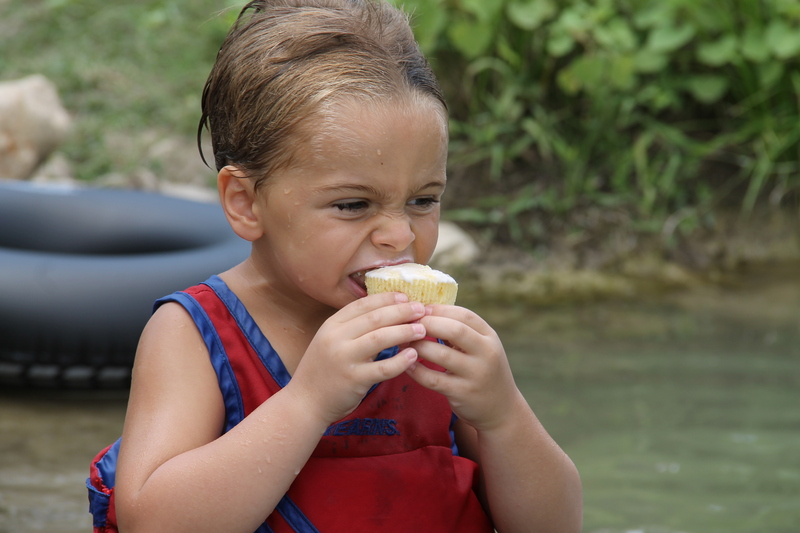 Copey eating a cupcake. Normally, we have an agreement where he eats the frosting and I eat the cake, but this time we both wanted our own. The rarest of photos for last. 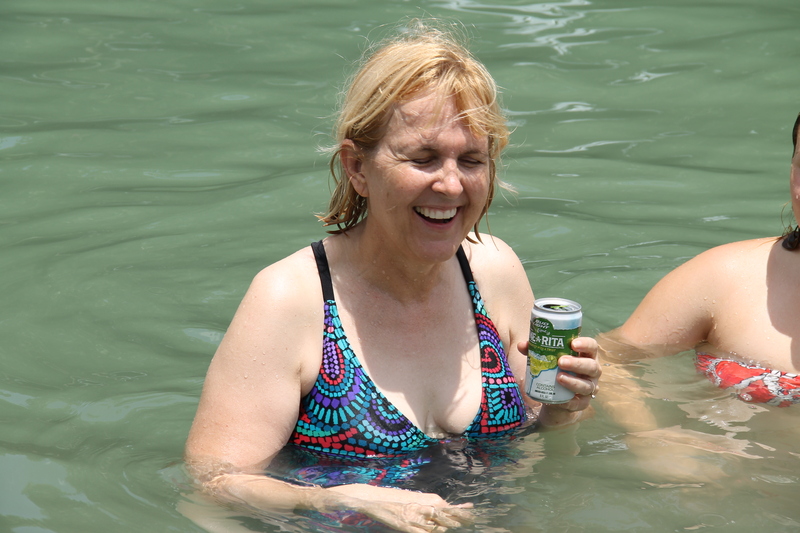 Mom, in the water (! ), in a bathing suit (! ), drinking a beer-like drink (! ), and generally enjoying herself. I haven’t seen her in the water since I was a very young child – perhaps three or four – and I haven’t seen her in a bathing suit since I was 7 or so.